Join us at Twelve Stones for a fundraiser dinner! Want to support Bonorong while having a great time and enjoying delicious food? We have an event for you! 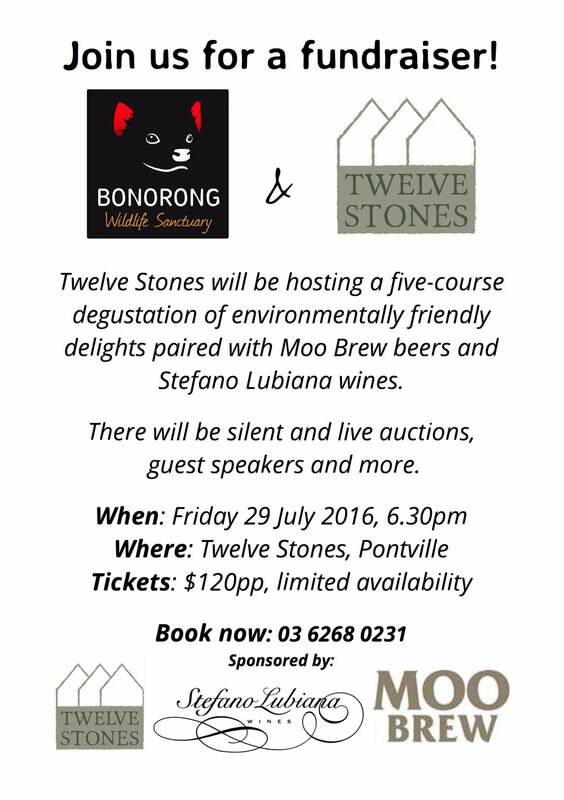 Join us on Friday 29 July 2016 for a five-course degustation of environmentally friendly delights paired with Moo Brew beers and Stefano Lubiana wines. There are limited tickets - so book in quick by calling Twelve Stones on 03 6268 0231. Newer PostGo behind the scenery with us. Older PostRandall’s in torpor! But what does that mean?